The Chicago Chapter of the Society of Industrial & Office Realtors (SIOR) held their annual golf outing on Monday, July 11, 2016 at Cantigny Golf Club in Wheaton, IL. Over 140 golfers enjoyed the beautiful weather The SIOR Chicago Chapter thanks our Platinum Sponsors for making this a memorable event year after year. 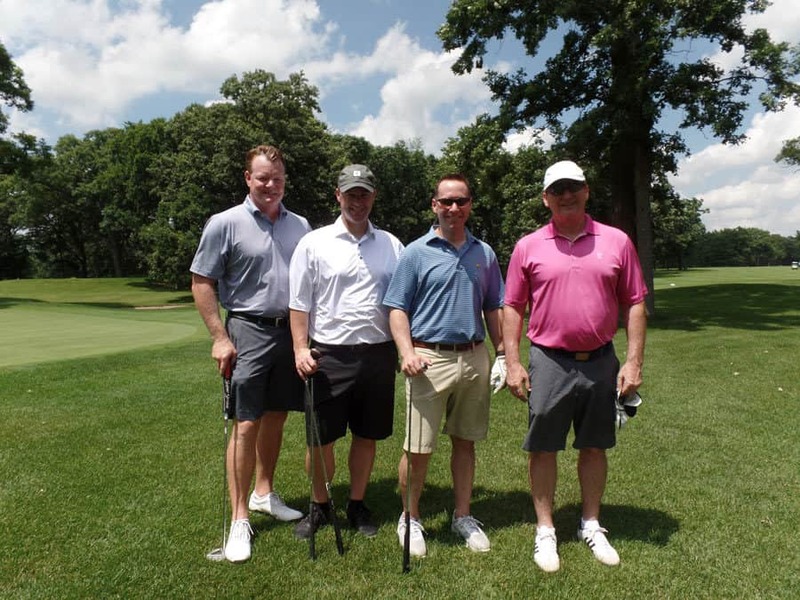 Pictured are from left to right: Dan Leahy of NAI Hiffman; Tim Walsh of Dermody; Adam Roth of NAI Hiffman and 2016 Chicago Chapter President; and Doug Kiersey of Dermody Partners.